Dr. White Brown has one goal in life since she was three years old, to make people smile. With her own private practice for nearly two decades, she has lived this dream and continues to live it with each patient she sees. She opened up her own practice shortly after becoming certified. She attributes her success to putting in hard work and working smarter, not harder. 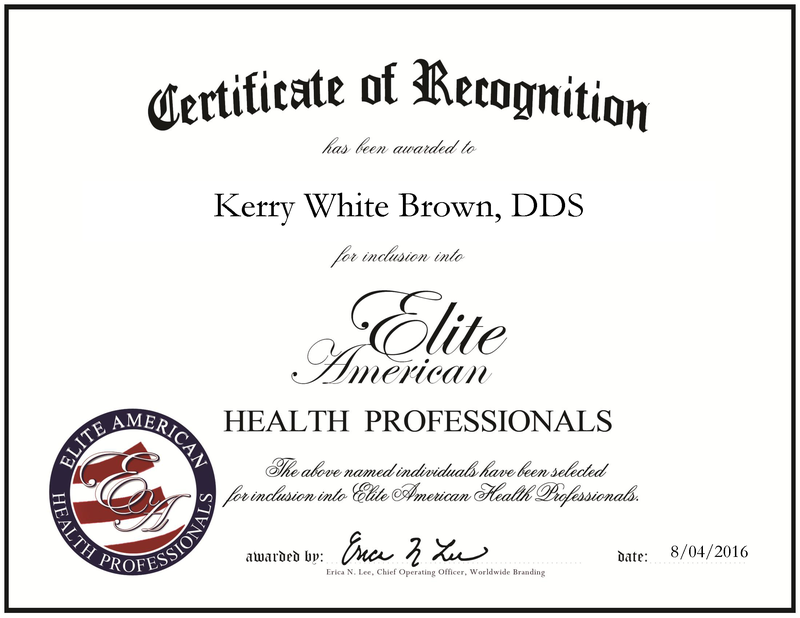 Dr. White Brown was inspired to become a dentist, and later orthodontist after having positive experiences at her own dentist. Her older brother, who also pursued a career in the field of dentistry, inspired her. After receiving a bachelor’s degree in chemistry from Benedict College, Dr. White Brown attended Howard University. She graduated with a DDS from Howard University with honors in 1995. She maintains affiliation with her industry with her involvement in the Southern Association of Orthodontists, the American Association of Orthodontists and the American Dental Association. Her willingness to help others smile transfers over to her philanthropic endeavor, where she is a member of Smiles Change Lives. In the coming years, she aspires to grow her practice. This entry was posted in Dentistry, Orthodontics and tagged chemistry, dental, dentist, orthodontist, private practice, smiles change lives. Bookmark the permalink.